It's that time again here in Smalltownland. The wagons are out and the barn doors are open. 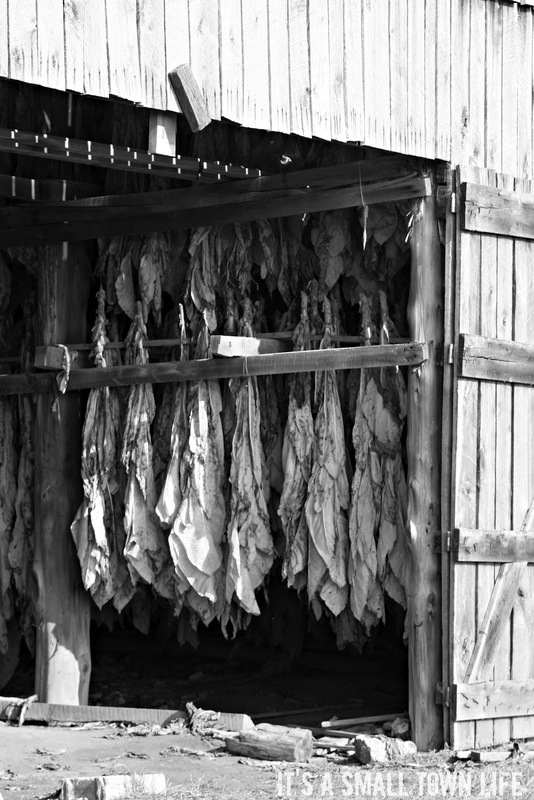 Tobacco is being cut and brought into barns to dry. This will ready it for market in the coming weeks. Truly a controversial product, I admit that we do not grow it here on our own farm. However, as soon as I leave my house, I see it everywhere. 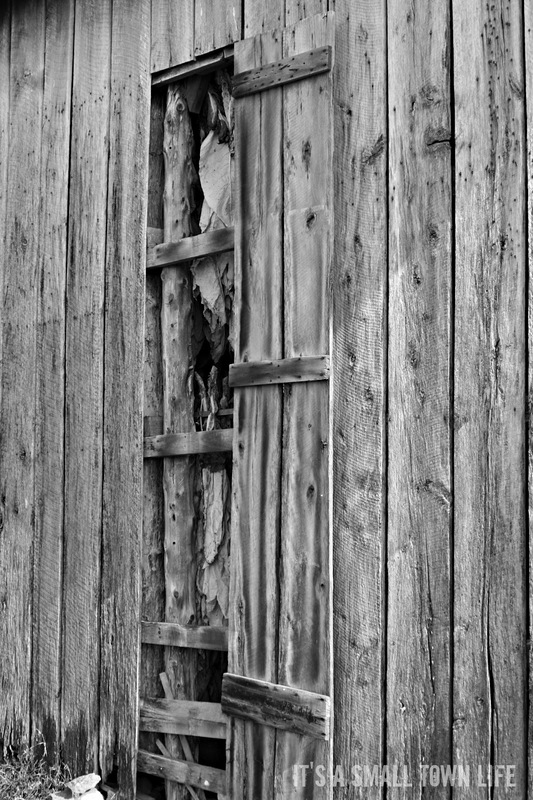 Even peeping out from the small side-doors on tobacco barns. It continues to fuel aspects of Southern culture. Tobacco still remains one the most profitable outcomes for farmers- Tobacco growing is embedded in the southern culture. The good, bad and the ugly. Love it. Thanks for sharing. My parents grew tobacco when I was 7. I can still remember the distinctive smell of it drying in the barn. Controversial or not, they are representative of your local agricultural community. That and they are really good too! Well controversial or not, it makes for fantastic black and white photos! I have never seen a real tobacco leaf... and I am glad to agree with Toscanini! How interesting!!!! No one grows tobacco around here, but I would live to see it!! Love b/w when done right, as you did. A wonderful mean to measure time and life. Great mood in the b/w. Please have you all a good new week. John - No one here in my household uses a tobacco product either, but my 96 year old grandmother still dips powdered snuff everyday and has since she was around ten years of age. We took our first family vacation by car across country when I was 10 or 12 years old. We went through Indiana and visited a tobacco farm there. The farmer sent me home with a very large tobacco plant pulled directly from his field and I took it home to Iowa, took it on the school bus with me and to school for show and tell.. HA HA..... No one in Iowa had seen a tobacco plant before so everyone thought it was pretty neato! Someone has to grow it I guess. Might as well be American grown where we know it's real! My son is the only one in the family that smokes, and that's because his wife does. Wish they'd quit. Love that quote! It made me smile. Most of the former tobacco farms in southwestern Ontario are now growing another crop. 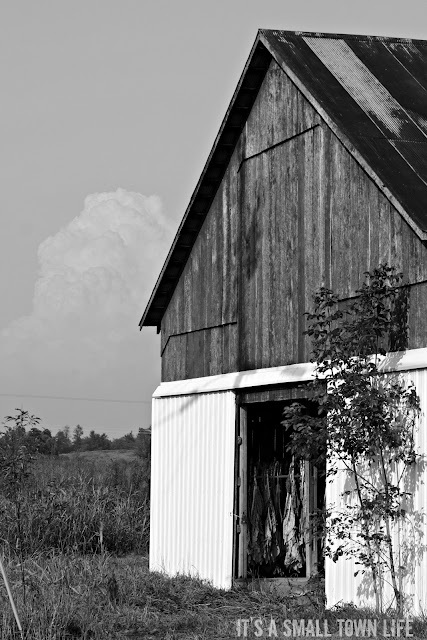 There are tobacco fields and barns 15 minutes north of Hartford, near the airport. They are high quality shade grown tobacco, used for cigar wrappers. I love the black and white photos here. I grew up in the 1940s in a house where both parents smoked. So, of course, I did too. I wanted to stop for nearly 30 years and couldn't. It's a horrible addiction. Fortunately for me, with the arrival of Nicorette Gum, I stopped just like that. Smoke free for 20 years next year. Well, this was probably more info than you or anyone else wanted. I wouldn't judge the farmers, they have to live too. I love that last quote. I've never smoked but kissing's gotta be better! I wish some smart person could make tobacco healthy. Yes, I was addicted, but I also really liked it. Nice choice of B& W.
Many years ago, I lived near Kinston, NC and can still remember the smell of tobacco drying. Controversial or not, one day I want to see this in person. Such a large part of our history in this country. Great shots- especially in black and white. Beautiful pictures! We don't do tobacco up in Iowa. At least not around here. I wonder what the barns smell like! Love your b/w shots....just great. Love the quote too, made me laugh! Beautiful black and white story. My FIL was in the tobacco industry over 60 years ago. When the health risks became known he had to leave due to his conscience. Very profound and humorous closing statement. My great, great, granddaddy was from Georgia and had a tobacco farm. I've heard stories but had never seen tobacco leaves. I'm so thrilled that you posted pictures. Makes it really special to read your post today. It provides a living for so many Americans. Great images, Michelle. I love almost all aspects of tobacco production. Of course the chemicals and end results, not, but the setting, growing, flowers, cutting, hauling, hanging, baling... Love to see the wagons full, leaf litter on the roads and even the smell of curing doesn't bother me. 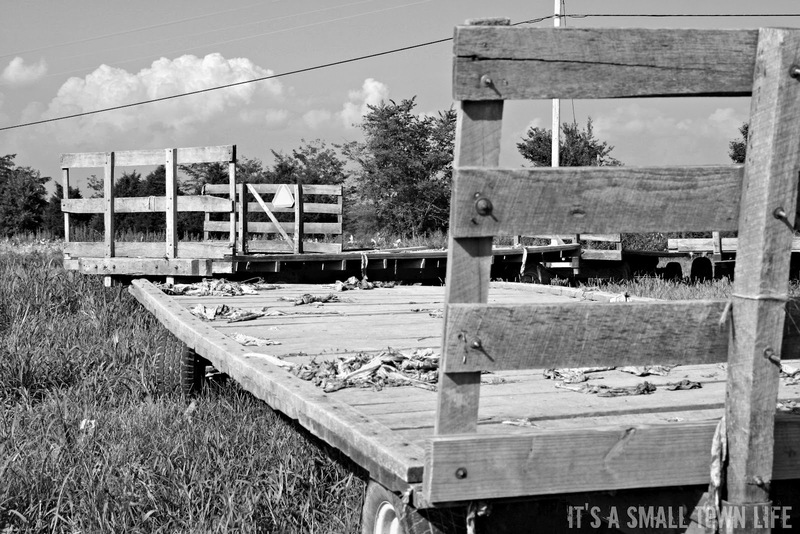 Nice shots of a declining way of life.